Hello my sweet girls! I have yet another blue mani for ya (don't worry, we're halfway through the month already) and by now, you will know that I'm doing these for Autism Awareness Month. I'll tell you some quirky stuff about me later, but first I wanna tell you about these nails! Click to see more! 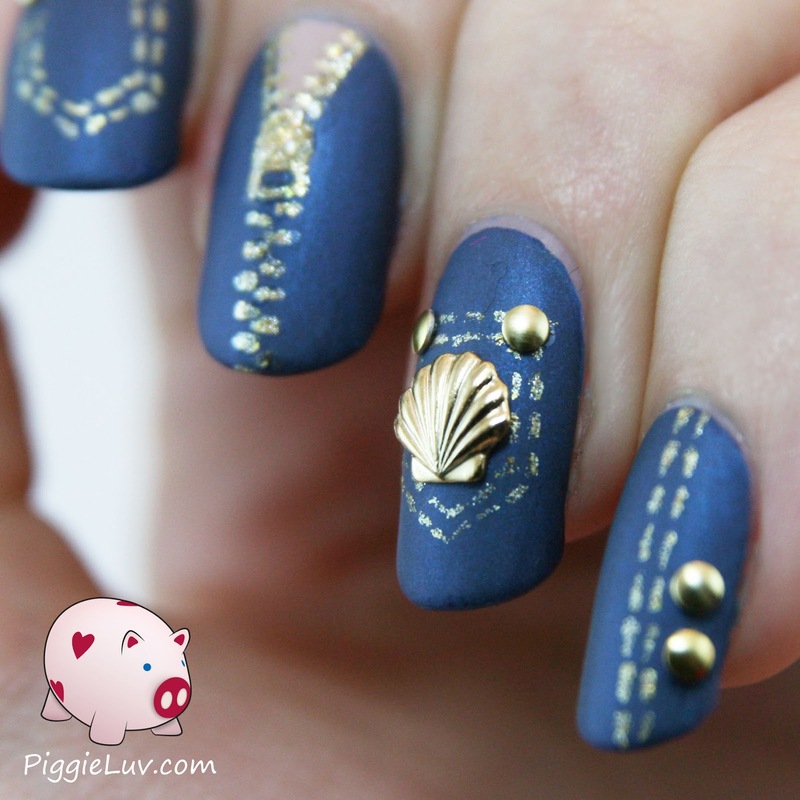 I made these jeans nails using Girly Bits Denim Diva as the base. It's the perfect polish for jeans nails, especially now that I've mattified them with Essie Matte About You! I used Zoya Ziv to paint the gold stitching, which might now have been the best choice but I (not being a big fan of gold polish) didn't have anything better to use. Chrome Girl No Tan Lines was used for the little part behind the zipper. I painted all of it with my ProNails brushes. I used a nail charm from Ocean Nail Supply to give it a little extra 'zing' and I think it's the perfect addition! Jeans often have embellishments on the back pocketses, and this one just fits right in! I freaking love how this base polish looks when it's matte. Whoa, so gorgeous! I have a thing for stuff that's different. Not standard. Yeah, I like that! Speaking about different (see what I did there? ), I have some funny quirks that my Autism brings me, that I wanna tell you about. It's kinda funny! - I have dreams. All the time. I dream every night, and I remember them very well! I love my dreams because they're like adventures without getting tired. Even when dream about stuff like exploding, I think that's kinda fun because I get to experience something I otherwise wouldn't have (we hope) and nothing actually happened to me. So yay! - I have this kind of um... 3D studio in my head. I can envision products that I want to make, and then simulate what will happen if I use this material, or that, or if I change something about the object. It's really useful when trying to think of solutions! - I always imagine I have lines going through my head that connect everything. Every memory, thought, feeling, if I want to find something, all I have to do is follow the line until I get to it. That also means working through everything that I come across while traversing the line, which makes for some interesting associations. Like I may have read the name of a polish somewhere and three hours later, I'm wondering why I have this song in my head, which on second thought turns out to have the name of the polish in the lyrics. Yep, I'm weird like that. 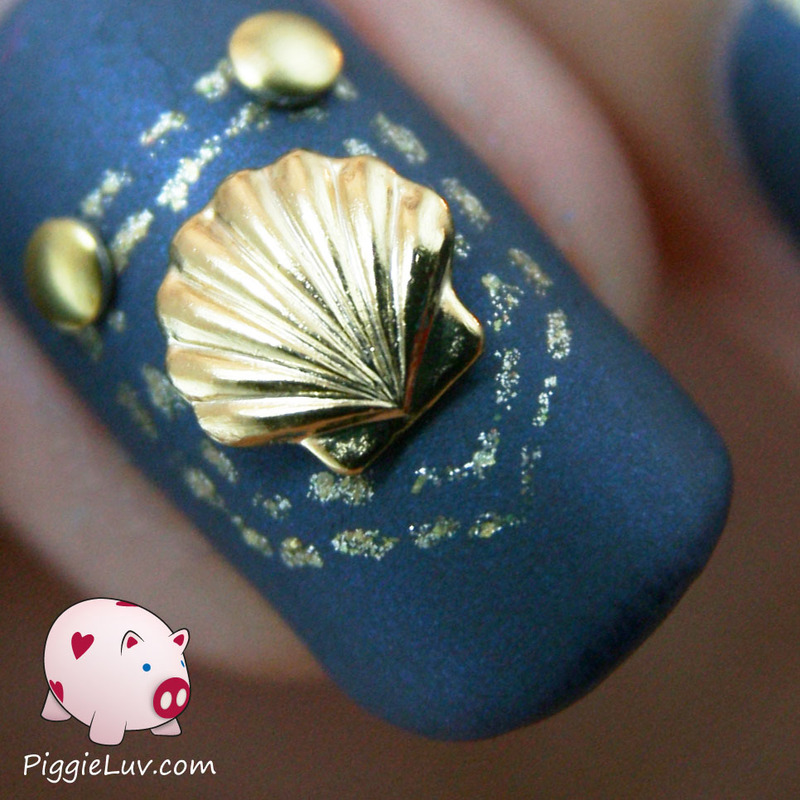 I received the seashell nail charm as a press sample to make nail art with. Opinions expressed are 100% my own and not influenced in any way other than the quality of the product itself.